Tiffany's Online Finds and Deals: An awesome chair for camping, sports, and more! 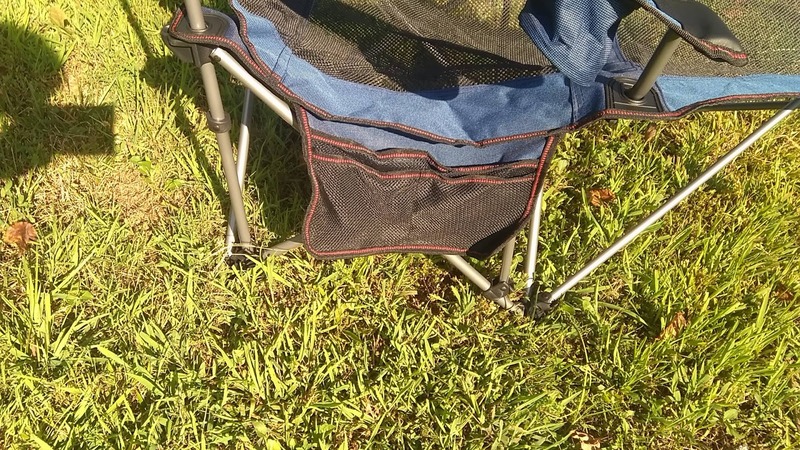 An awesome chair for camping, sports, and more! I received this chair to test and all opinions are my own. This folding chair by Roraima is pretty nice. It is very easy to set up and fold back up. Takes only a couple of seconds to have set up after getting out of the carrying bag. Roraima's camping chair is very comfortable. This chair reclines which makes it perfect for lounging almost anywhere. It not only a detachable head rest, but a comfortable foot rest. I do wish you could put the foot rest down to use like a regular folding chair but it does not. I feel adding an adjustable foot rest would make this chair perfect! The mesh make this chair breathable which is a must for use on hot sunny days. 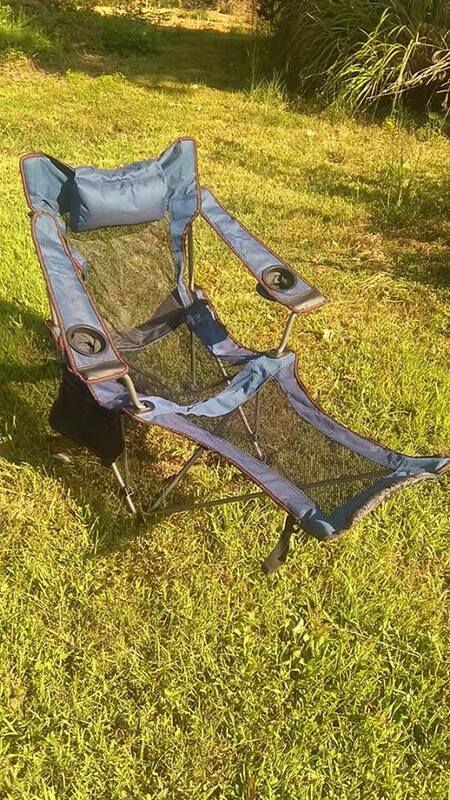 This chair also offers not 1 but 2 drink holders and a large side holder with 3 pockets. The side pockets would be great for books and gadgets. The carrying bag make it super portable and easy to carry. This chair would be great to take on camping trips, sports events, outdoor events, gatherings, ect. For its size, it is lightweight. The weight limit is 200 LBS. The material is very nice. It is heavy duty and seems very durable I can see this chair lasting me awhile even with my daughter jumping all over it. Overall I really like chair as it is a comfortable, durable outdoor chair. 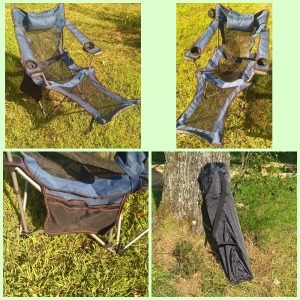 Portable and Easy set-up reclining champing chair, great companion for outdoor camping, football games, music concert, Beach party, BBQ, RV，etc. not just for outdoor use, but also ideal for patio and open parties. Only weight 11 lbs, ultra light weight , that you can take it any way you like. Durable oxford fabric with strong mesh support, well ventilated for hot summer camping , and it can also dry fast after water sports. Build in left and right cup holders, Extra headrest, and Bonus mesh pocket, ideal for your belongings like Wallet, phone, kindle, sunglass, magazines. Product Size L59" X W22" X H29.92", Weight limit for 200 lbs (90 kgs), You can change the standard chair model into Reclining model within seconds. Pls follow the instructions carefully for the first use.